Asked who should be held accountable for the death of Jamal Khashoggi, the US President said "maybe the world should be held accountable because the world is a very, very vicious place." 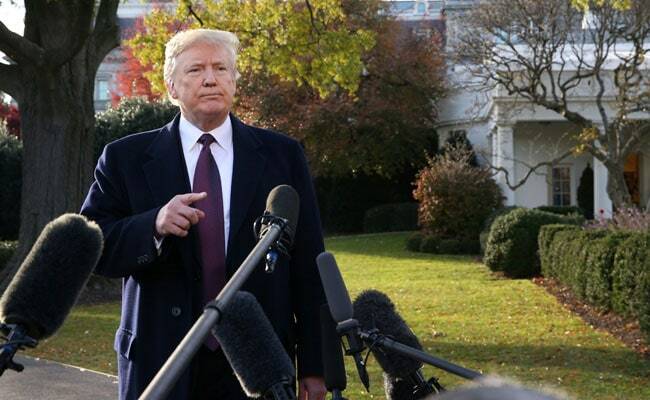 US President Donald Trump on Thursday contradicted the CIA's assessment that Saudi Crown Prince Mohammed bin Salman had ordered the killing of Washington Post contributing columnist Jamal Khashoggi, insisting that the agency had "feelings" but did not firmly place blame for the death. Asked who should be held accountable for the death of Khashoggi, who was killed at the Saudi Consulate in Turkey on October 2, Trump again refused to place blame - instead espousing a grim view of the world that he often shares with advisers. He also seemed to suggest that all US allies were guilty of the same behavior, declaring that if others were held to the standard to which critics have held Saudi Arabia in recent days, "we wouldn't be able to have anyone for an ally." Trump's Thursday remarks came after he held a conference call with US military officers overseas, during which he repeatedly praised his administration and sought to draw the officers into discussions of domestic policy. He asked military officials on several occasions to back him up on trade, immigration and other issues - and was sometimes rebuked by answers that did not square with his worldview. He also said that he had "given the OK" for US troops to use lethal force against anyone crossing the border who represented a threat. US military forces are typically not allowed to take such actions, and Defense Secretary Jim Mattis has already signaled his disinclination to change that policy. There has been considerable consternation in the administration about the policy, administration officials said. The president's televised holiday phone call with US military officers was meant to deflect criticism he has faced for not yet visiting a war zone, as previous presidents have done. Asked whether he would be traveling to visit soldiers, Trump said, "We're going to do some interesting things at the appropriate time." He declined to give any further explanation. Again on Thursday, Trump indicated that the ally's economic contributions weighed on him more than the death of a US resident.